“Anxiety” is set against ”Banality” in a 2007 work by artist Guthrie Lonergan, where ”Net Art 1.0″ is opposed to a nascent post-internet. Mapping the shift from the hacker ethos of the 90s to the social-media art of today to the blockchain utopias of the coming nerd reich, this issue of Spike revisits the dreams of a different (art) world and charts the entanglements of art and technology since the internet went public nearly 30 years ago. In “A Cyber Memorial,” Claire L. Evans writes about Shu Lea Cheang’s groundbreaking Brandon, a 1998 web commission by the Guggenheim. Memorialising a murdered 22-year-old trans man, a nonlinear narrative of gender, violence and technology unfolds in pop-ups, livestreamed conferences, and chat rooms. The 1990s are also at the center of an interview with Konrad Becker by Felix Stalder about the Vienna-based digital culture platform Public Netbase, and the starting point for a roundtable discussion with Tilman Baumgärtel, Josephine Bosma, and Stephan Schwingeler, which brings us into the present with a critical glance at the Berlin Biennial and the potential of hacker and maker culture today. In ”The Second Life of Net Art,” Melissa Gronlund takes 90s net art as a foil to critically examine post-internet art and the problems it faces navigating the art world’s systemic bias towards the unique work. In an expansive interview, Richard Birkett talks to Hilary Lloyd about her theatrical use of Unicol mounts, the turn to digital animations in her recent work, and the erotics of projected light. Katharine Stout writes on ideas of flatness and juxtaposition in the work of Guan Xiao. Looking at how technology carries the seeds of the conflicts of the future, Ben Vickers writes on the hard fork of the DAO and other consequences of the “world computer” Ethereum. Harry Burke writes on his hopes for an expanded digital publishing that transcends the confines of the printed book. Andrew Berardini meditates on humankind’s first encounters with technology. And Sarah Thornton sends a postcard from Silicon Valley. In the “Questions” rubric, Harm van den Dorpel gives us his take on the future of the internet, while Peter Weibel talks about how technology is changing the museum and Julia Stoschek explains the challenges of exhibiting digital art. Brian Holmes gives some pointers to how 7 billion interconnected bodies can resolve an endless crisis. Also: Constant Dullaart explains what he admires about the KLF, Borna Sammak, Suzanne Treister, Alexandra Leykauf, and Pilvi Takala. Yongwoo Lee, Director of the Shanghai Himalayas Museum, writes on Yang Fudong‘s film The Light That I Feel (2014) as this issue’s “Curator’s Key.” Plus: for the column ”The End Is Night,” Natasha Stagg writes on the love lost between fame and friendship at the Cafeteria in New York. In the ”Views” section, Chris Sharp responds to the Berlin Biennial; Joanna Fiduccia writes on the shock of seeing Five Car Stud in “Ed and Nancy Kienholz” at the Fondazione Prada, and there’s further coverage of the most important exhibitions in Vienna, Graz, Munich, Berlin, St. Gallen, Zurich, Paris, Antwerp, New York, and Los Angeles. Plus an image portfolio with contributions by Thomas Ruff, !Mediengruppe Bitnik, Kathleen Daniel, Eva Grubinger, and Julien Ceccaldi. 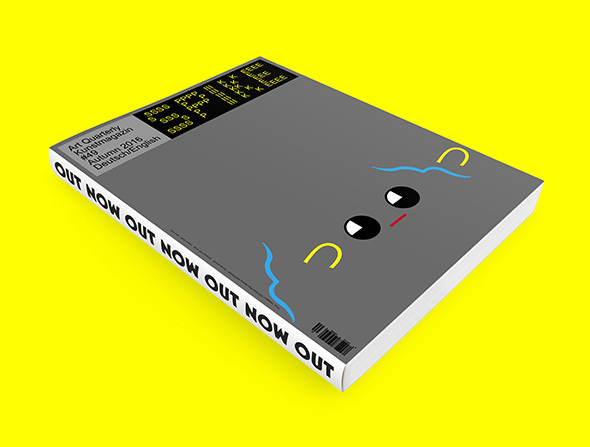 The next issue of Spike will be out in December. In the meantime, we hope you’ll give us an okay American President, even if you’re an accelerationist.